A demonstration organized by Teens For Gun Reform, a group created in response to the shooting at Marjory Stoneman Douglas High School. Lorie Shaull, CC BY-SA 2.0, via Wikimedia Commons. All too frequently, we have been shocked, saddened and outraged by deadly violence in America’s schools. In response to the February, 2018 shooting at Florida’s Marjory Stoneman Douglas High School, a remarkable movement has emerged, thanks to high school students demanding action against gun violence. It is clear that higher education has a role to play in the movement to end violence in our schools. Smith can provide a platform for student voices, host informative discussions and provide ways for those on campus to share their views with elected representatives. Come to witness, support, advocate, empower, connect and amplify the voices of those calling for safety in our schools. Throughout the afternoon, members of the Smith community are invited to meet to contact their state and federal legislators. 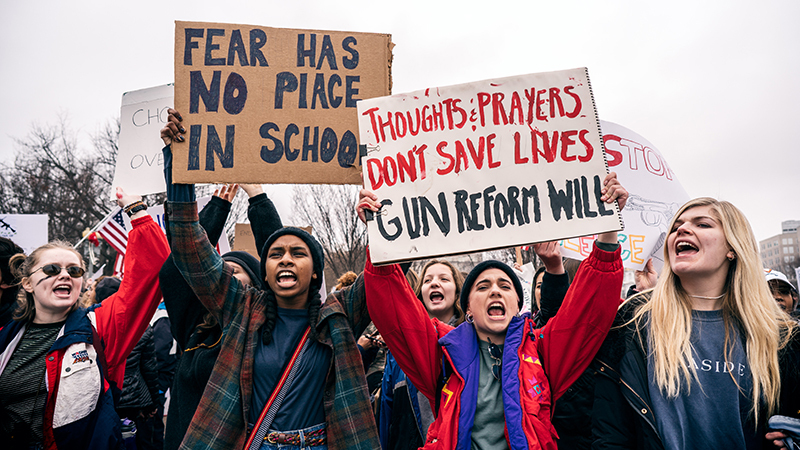 4:30–5:30 p.m. Panel Discussion: “School Shootings, School Violence and the Damage Done: Prevention and Response"
Smith has arranged free bus transportation so that interested Smith students can attend the Saturday, March 24, March for Our Lives in Boston. For more information, contact the Office of Student Engagement. Student organizers from the Pioneer Valley have planned a March for Our Lives event Saturday, March 24 as well, kicking off at Northampton High School at noon and marching to City Hall. Learn more about the Northampton event. 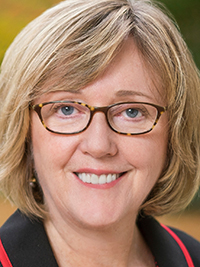 In an editorial for Inside Higher Ed, Smith President Kathleen McCartney outlined the key ways colleges can support K–12 students and help advance the movement they have started. This year’s Presidential Colloquium Series will feature a conversation on gun violence with Pam Bosley and Stasha Rhodes, Monday, October 22 at 4:30 p.m. in the Campus Center Carroll Room. After one of Pam Bosley’s sons was murdered on the grounds of a church, she left a career in banking to make a difference in the lives of youth. She now serves as the violence prevention manager for the ARK of St. Sabina in Chicago, where she empowers young people to be leaders and self-advocates, guiding them to discover their own voices and abilities to bring change to their communities. She is also the co-founder of Purpose Over Pain, an organization that offers support to parents who have lost children to violence, advocates for common sense gun measures, and provides a safe space and mentorship for youth. 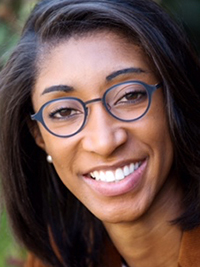 Stasha Rhodes is the director of engagement for Giffords, an organization formed by the merger of Americans for Responsible Solutions and the Law Center to Prevent Gun Violence and a leader in the growing movement to save lives from gun violence. 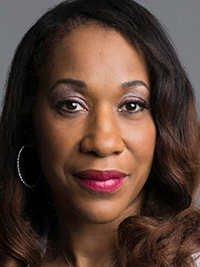 She previously served as the founder and principal of The Red Team, LLC, an advocacy firm specializing in issue campaign management, grassroots organizing, and government relations, as the director of advocacy for guns and crime policy at the Center for American Progress, and as the American Heart Association’s Louisiana director of government affairs. Contacting the offices of elected officials at the local, state or federal level is a simple but effective way of communicating with policymakers. Identify yourself as a constituent of the official. Clearly state your first and last name, your hometown, and why you are calling. You may ask to speak to the elected official, but expect to leave a brief message with a staff member. Briefly explain why the issue is of concern to you and your community, and what action you are asking the official to take. Written notes may help you stay on topic and articulate your case. Know the official’s voting record or political history on the issue. Be polite, be brief, and thank the staff member who took the call for their willingness to listen to your concerns. Indicate if you would like a response from the elected official, and a way for them to contact you.